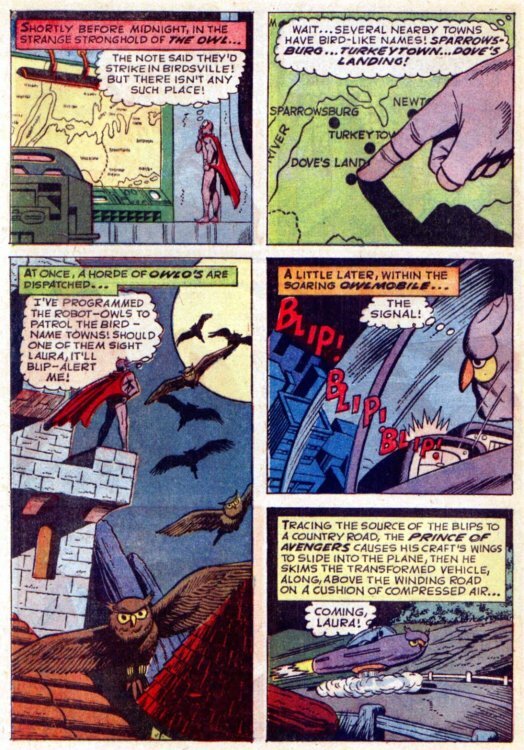 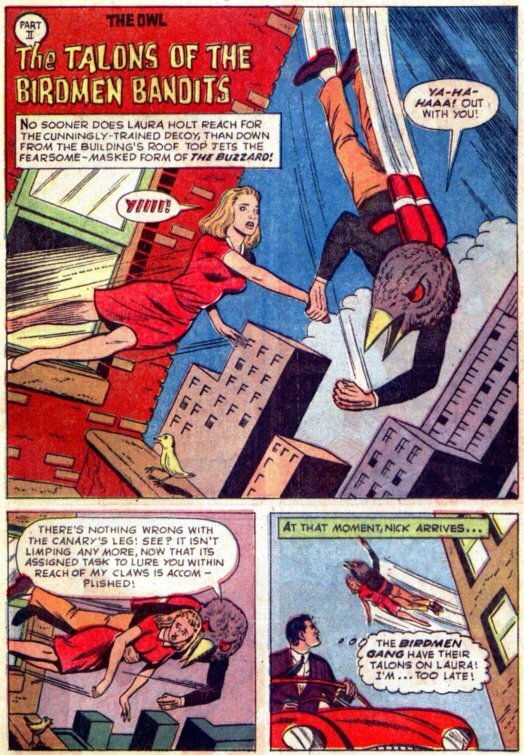 The criminal gang calling itself the Birds of Prey is stopped during an attempt to hijack an armored car by The Owl and Owl-Girl. 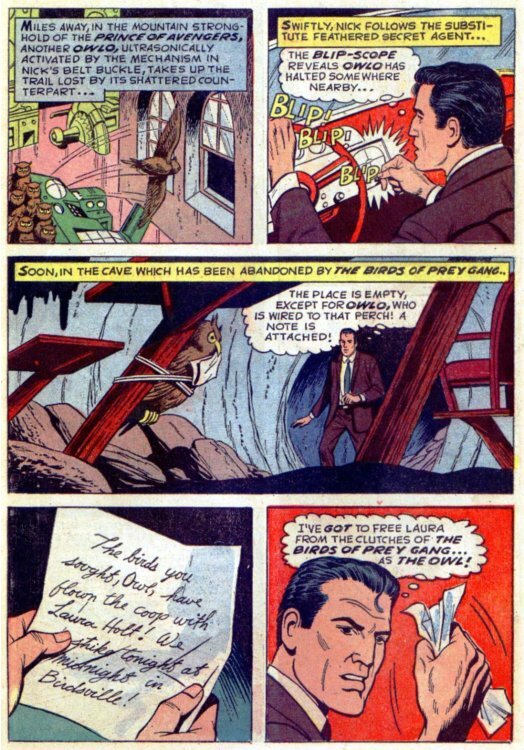 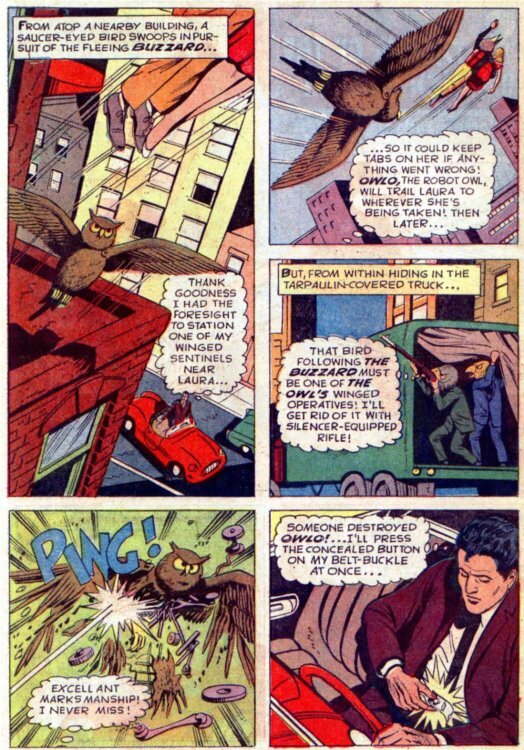 The next day, The Owl, in his secret identity of Detective Nick Terry, saves the Chief of Police from a murder attempt by a trained blackbird with poison claws. 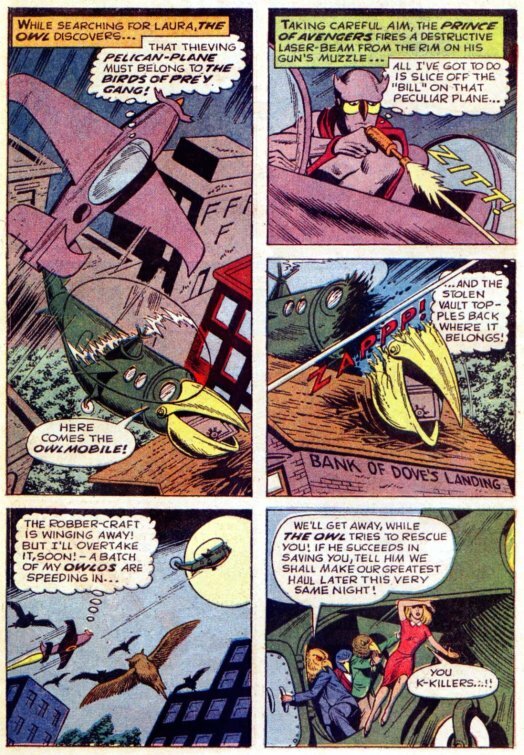 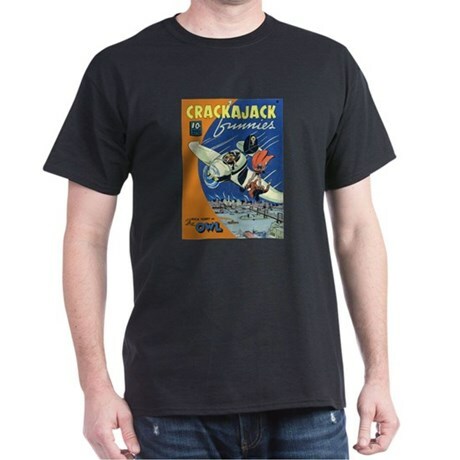 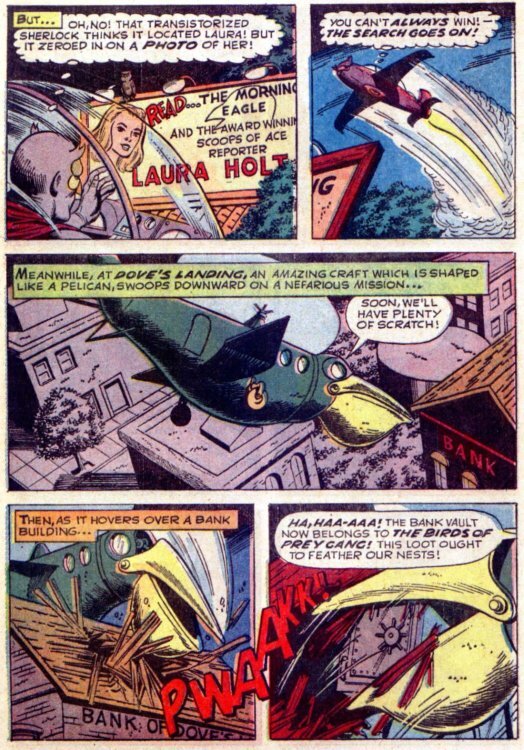 Along with DC's simultaneous attempt to turn the military-themed Blackhawks into superheroes, this was probably the worst "updating" attempt of the Silver Age. 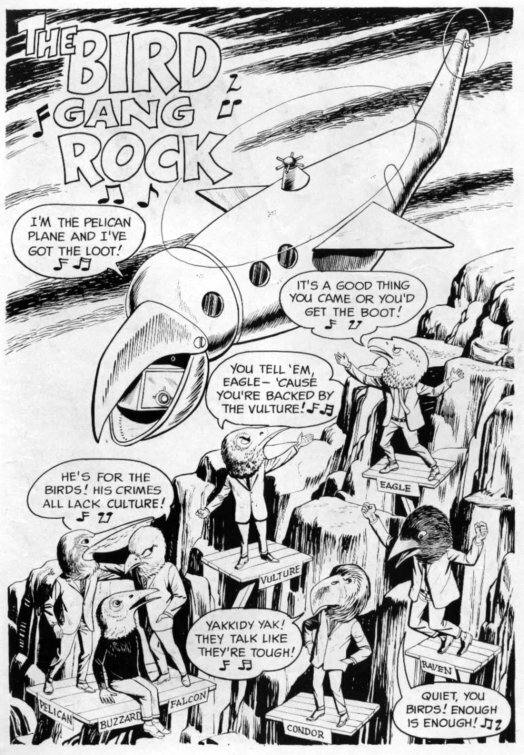 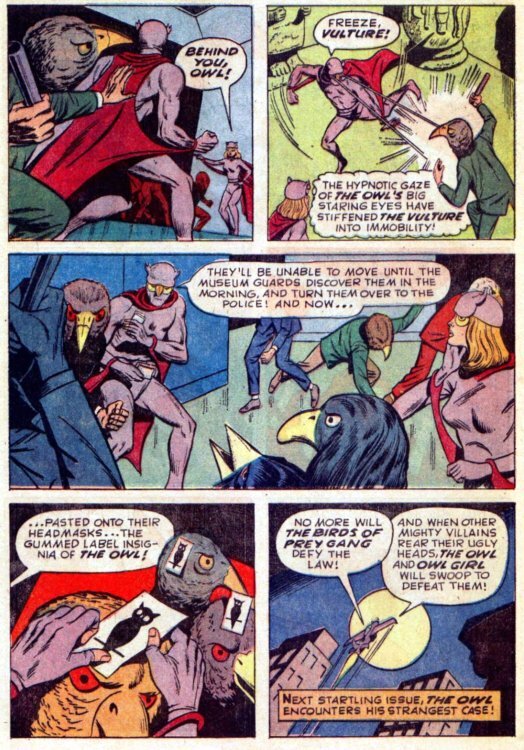 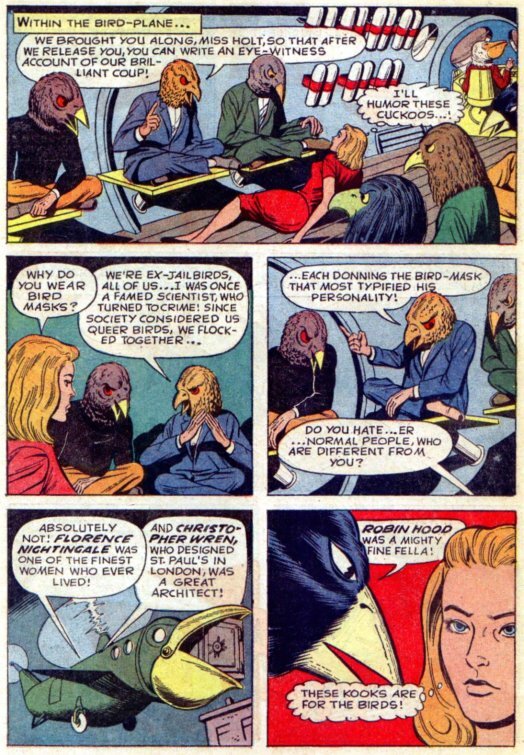 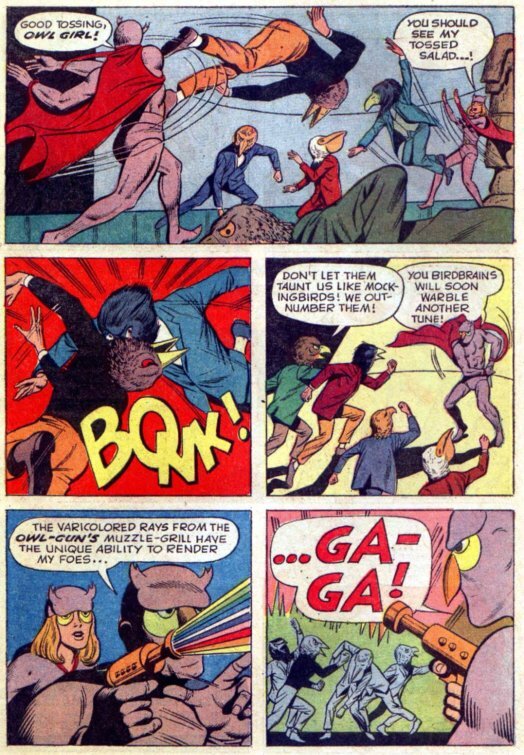 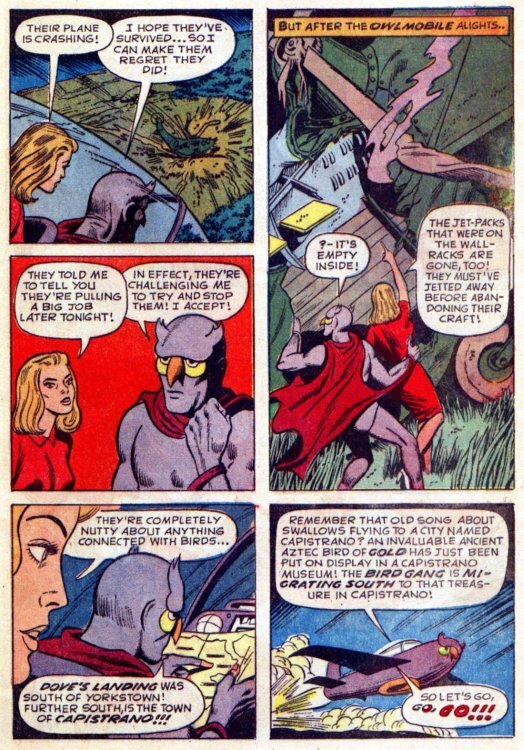 Scripted by Jerry Siegel, and illustrated by Tom Gill, this never-reprinted adventure from Gold Key's The Owl #1 (1967) was the first of only two issues of the Golden Age hero's short-lived revival.